By popular demand, here are some photos of Lush Puppy that I’ve put up on FB. Now I’ve made a lovely animoto video for your viewing pleasure! Enjoy. I mean, come on! How can you not love it??? Now, I am a librarian, and I have a tattoo (well, that just outed me at work…), but I’m not *entirely* sold on getting a library tattoo while attending a library conference. But then again, maybe that would have been a fun project while PLA was in Minneapolis in 2008. If I were to get a library tattoo, what would I get? Not a barcode, that’s too cliché. Not a call number, because I’d have to spend too much time explaining it. I’d probably get a quotation, but what it would be, and where to place it are mysteries that will have to be solved another day. Don is a gangster of the very highest degree, involved in the international drug trade and wanted by the police forces of several different countries. His main pursuer is DCP Desilva from the Indian narcotics squad. When Don unexpectedly returns to India from his base in Malaysia, Desilva and his men seize the opportunity and attempt an arrest. But it goes horribly wrong, and Don ends up in a coma. Vijay is a simple street musician who just happens to be a dead ringer for Don. Using emotional blackmail, Desilva recruits the somewhat unwilling Vijay to infiltrate the gang, posing as Don, so that he can have a man on the inside. The tricky thing is, no one except Desilva knows that Vijay isn’t Don. Vijay is understandably leery of the situation, but Desilva assures him that nothing could possibly go wrong. Can Vijay fool the gang into thinking he’s Don? Will Desilva succeed in bringing down the narcotics ring? When everything inevitably goes wrong and Desilva is killed during a raid, Vijay is stuck. 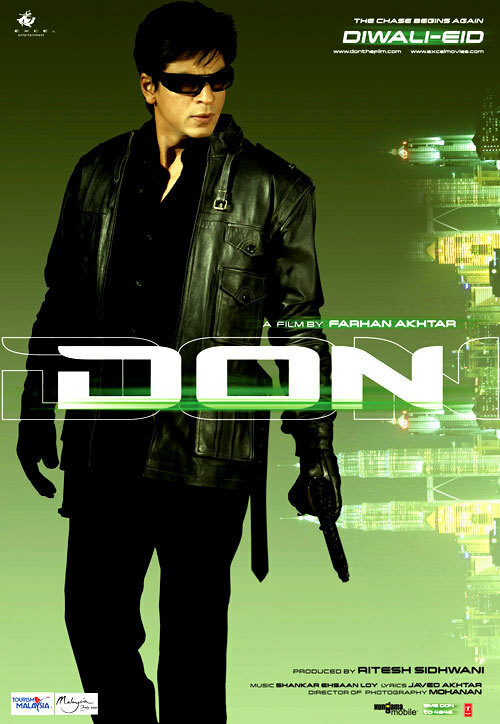 Everyone thinks he is Don, and everyone thinks Don is a double agent. The situation has gone from bad to worse, and there is no way out for Vijay. There are a few other plot points I haven’t even touched on (revenge for a murdered brother! revenge for a murdered wife! reuniting a father and son!) that, while very important, would take too much time to explain and would also give away too much. The plot, as you may have gathered, is a bit twisty and complicated. When I saw this movie for the first time, I had figured out the slightly more obvious of the Two! Big! Plot! Twists! but not the second. The movie makers do play fair though–all the clues are laid out, so if you pay attention, you can figure them out. Mad props to you if you manage both on the first viewing before all is eventually revealed. Najin Han is the daughter of a renowned calligrapher in pre-WWII Korea. Growing up she does not lack for anything, but does chafe at her father’s traditional mindset and longs to spread her wings beyond what he deems acceptable for a mere daughter. Najin’s mother subtly aides her in her quest to become more than just another traditional Korean bride. Along the way, History happens: royal dynasties topple, foreign powers take over, and wars are fought; life is lived and love is found. This is a wonderful book and I absolutely did not want it to end. I want to know what happens to Najin after she is reunited with Calvin, I want to know about their life in America, I want to know what happens next! I would be equally happy to learn about Najin’s family prior to when we meet them in this book, or to follow them when she and Calvin depart for America. 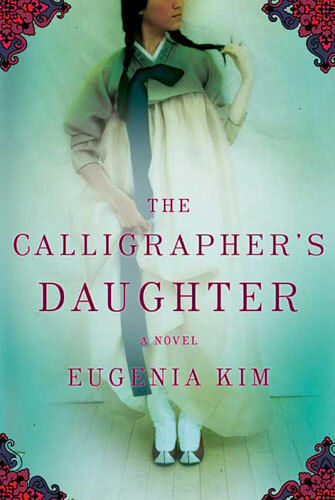 I can’t wait for Eugenia Kim’s next book, and can only hope it will be this good. I like books that engage me beyond the book itself, and this one certainly delivers on that score as well. My interest has been piqued, and I want to learn more about Korea and its history and culture, because I only know the very barest of facts: Japan invaded before WWII, there was another war after WWII, kimchi scares me (there is true and hilarious story as to why). Maybe I can visit there some day, whenever Mr Lush and I make it back to Asia. Certainly a book that will appeal to fans of Amy Tan’s books, but I would recommend it to anyone who wants to read a book with a strong heroine, a compelling story, and a wonderful relationship between mother and daughter, and, eventually, father and daughter. Bonus: the cover is pretty. I will be sure to suggest this the next time someone asks me for a good book to read.